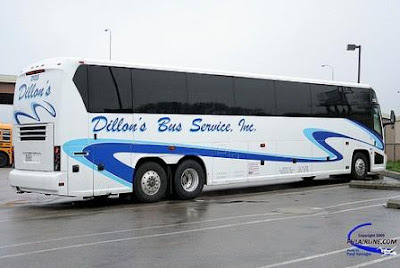 Dillon's Bus Service Is an Intercity bus company which based in Maryland and It has been in the bus industry for almost 100 years and we are a proud part of the Coach USA family. Dillon's is pleased to offer a safe, reliable, convenient and efficient customer service to their clients while utilizing "green technology" to benefit the environment. 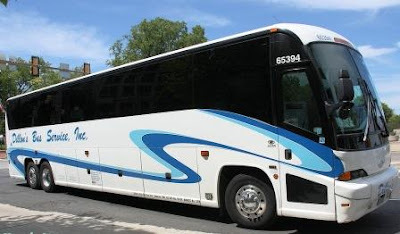 Whether you are a commuter on their Maryland MTA service, a charter customer to locations near and far, or ride on a corporate contract, Coach USA/Dillon's is able to fulfill all of your transportation needs. When you charter Dillon's you charter the best. Customer Service and Satisfaction is their number one priority. Their equipment is second to none, and their drivers are experienced professionals. All of their drivers are subject to background checks and finger printing by the Maryland State Police. 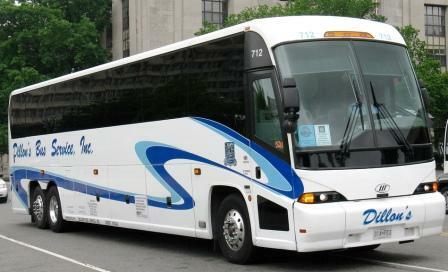 Whether it's a charter, airport shuttle or group tour, They are the company that will fulfill your transportation needs. As a Contractor with MTA, Dillon's Bus Service provides daily scheduled service to the business, and government employment center of Washington D.C. This service is provided using their modern fleet of deluxe motorcoaches. As energy prices continue to rise, more and more commuters are looking for transportation options as a way to lessen the cost of commuting to work. The different Commuter Bus services they provide under contract with MTA are on the link below, please take a look and see which of the services they provide can best suite your commuting needs. Should you have any questions please contact our Commuter Department through the numbers provided below.